5Allenzplus: When Never is Now. I think we all have that thing that we are sure that we'll never do. Or never do again. We saw the first signs of a problem two years ago when his older brother went into a residential home after three inpatient stays for acute mental illness. It was as if a switch had been flipped when Elijah returned home- Isaiah began the spiral. 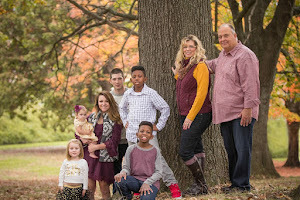 At the time, we were emotionally raw and while we noticed worrisome changes in our youngest child we were determined that we'd never put him through what his brother had just survived. We settled into new routines that included lots of services. Respite. Counseling. Psychiatrists. Occupational (OT) and Physical Therapy (PT). 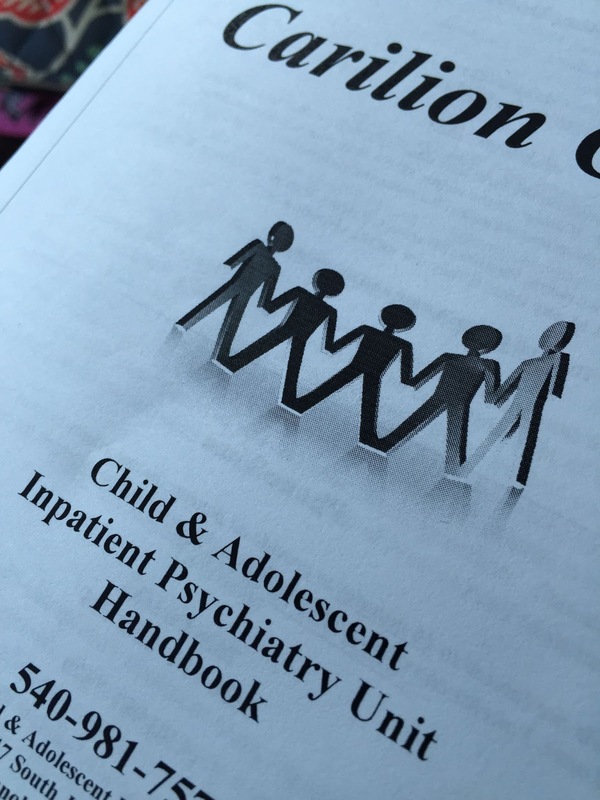 Educational assessments and Psychiatric evaluations. Intensive in-home therapy and TDT counselors at school. And we slowly began to see baby steps toward healing and hope for our family to be healthy. We timed out for in-home services giving us some of our privacy and a lot of our time back. But things weren't perfect and with school a constant battle for both my boys, we walked through God's opened door for us to home school which alleviated the need for TDT counselors, long hours at daycare and those darn phone calls. Respite did and still does give our family needed breaks each month. But, as much as Elijah seemed to be healing, Isaiah seemed to be hurting. And finally, the dam broke for our youngest. We've been watching him struggle more often. Struggle is a nice inclusive word for all the ugly- increased irritability, irrational thoughts, depression, anxiety, fears and tears. Withdrawing from his friends, increased aggression, losing interest in what once brought him joy. Odd behaviors that didn't make sense - the pacing, the melt-downs, the sudden lose of feeling in his legs and inability to breath when he'd get upset. A little over a week ago we watched and listened as our son battled psychosis. And then, we spent most of that night calming, snuggling and reassuring him. Minutes turned to hours and eventually morning came after a sleepless night- we all feared what was coming. Monday morning I could be found pacing the driveway sharing with Rex; his medical providers all agreed on what we needed to do but we confided to each other that neither of us thought we could do this thing and cried together because we knew that we had too. Our son was in crisis and for his own safety he needed more than we could give him. And we knew that we couldn't do it in our own strength because we remembered the hell we had walked just two years before. Sometimes, when you've done the really hard you promise you'll never do it again. 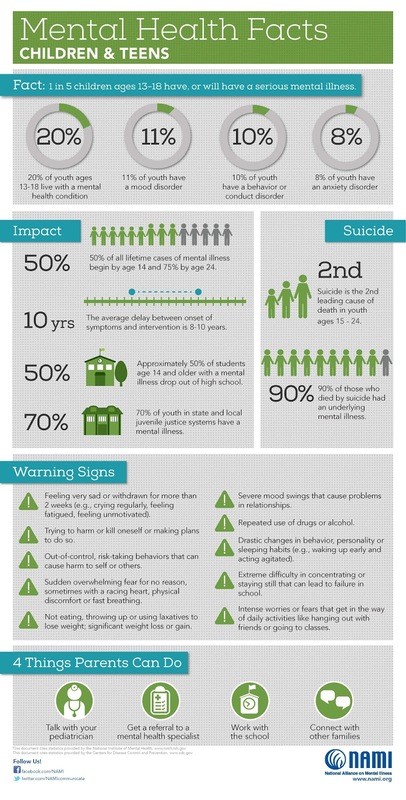 Sadly, we know that mental health care for children isn't guaranteed. We know there are many who seek treatment and are turned away. Did you know that only one of two hospitals in our area will accept kids under the age of 13 for inpatient care. We knew there would be questions, the same ones over and over again as medical and then psychiatric doctors and nurses would need to ask before agreeing with what we suspected. And they did. So we signed the papers and then wiped our son's tears as he begged us to un-sign them. And we choked back our own tears and put on our bigger.stronger faces while promised him he would come home. We spent about 31 hours in the Emergency Department waiting for his bed. We initially agreed to admit him in Lynchburg thinking they had a bed immediately available and he could potentially be home before I'd leave for Texas for work; but relay of information between several staff members meant the ball was dropped and we were still waiting on Tuesday afternoon when - of the 16 beds, none were available and Isaiah was one of four kids waiting. After being told by staff that a child recently waited in the ED 104 hours for a bed. That's 4 days + some hours we were adjusting our mindset and frustration levels, when God answered prayers and he got a bed later that afternoon. 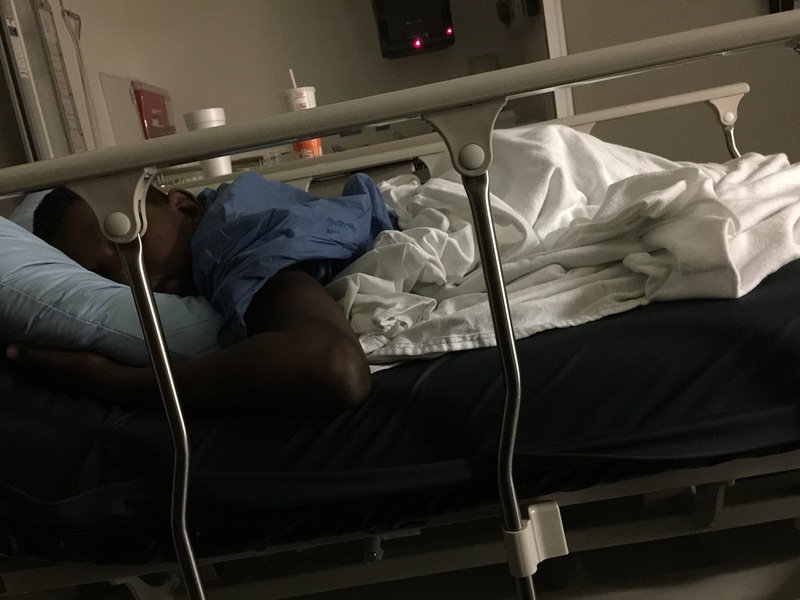 As a parent, I would never leave my kid alone in the hospital; but when it is mental illness, never is now because the rules are different and instead of staying with him around the clock, we're limited to a one hour visit each day. No exceptions. We again find ourselves without control and having to trust in who we don't know and what we don't understand. We thought Isaiah had escaped this, after all, he was so young when he came to us. The nurse looked at us while assessing him and said "that the genetic code is hard to crack". Two sons with the same genetics. Two sons who've been prayed over repeatedly -asking God to heal them. Two sons experiencing hospital stays that will now bond them in a new way. Two sons with mental illness. Two different diagnoses. Tonight will be the ninth night my youngest son will sleep in the hospital. My son, who is afraid to be alone, sleep without a light. The one who is not allowed the very things that usually help to calm him. Nine days of getting stuck and prodded and observed and interviewed and evaluated and yes, even restrained. 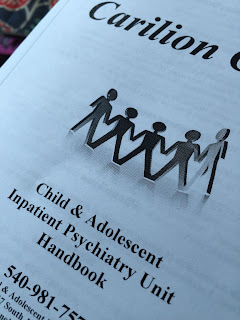 The first few days they told us many times how difficult his case is, complicated by reactive attachment disorder (RAD) they didn't have a clear-cut diagnosis. But we are thankful that they've finally confirmed several diagnoses and ruled out at least two others. Now, we're making decisions on medications and whether the benefits outweigh the risks isn't easy. And accepting that managing his illness will be a long, hard road and we'll have some challenges in learning how to read his cues and meet his needs. We said never, God said now. Now, I will remind you that yes, genetic code is hard to crack but I created that code and nothing is too hard for me. Now, I will remind you that when you can't in your own strength, I can and I will. Now. I will remind you that what seemed hopeless for you just two years ago now you're seeing my will. I will do it again. Two sons, both equally precious in my sight. Years ago, I had to decide if I would love God even if He didn't. Didn't answer my prayers the way I wanted. Didn't heal my loved ones here on earth. Didn't make my days a little easier. We're hopeful that our once happy, social, funny kid is making his way back and will be sleeping in his own bed soon. And yep, I will love God even if he doesn't. Do you have a never that's now? I'd love to hear your story and how God is showing up for you. I'm so sorry that your Children has had to go thru this. I'm praying for your whole family for healing. They couldn't have a better Mother or Father. Thank you Nancy! Healing is coming! Robin, I would like to post this on my Facebook pagr amd ask several teacher friends and mental health profs to read. I think it gives insight into what parents go through every day. I cried as ai read this, for Isaiah, Elijah and you guys. Just know that God chose you and Rex because you will not give up where other parents would have a long time ago! Absolutely- you can share anything I write. I pray God uses our journey to help others- whoever and wherever they are. We appreciate your encouragement. Robin, I'm so sorry your family is going through all of this. You are in my prayers, sister.